Bronson so likeable in the first place work on this project. What worked so well for Bronson in the past doesn’t work nearly as well on White Bronco. making the thematic downfalls of Action Bronson’s lyrics and delivery sting even more. didn’t work on the rest. 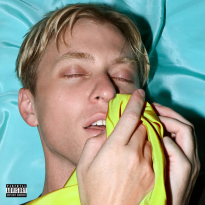 White Bronco has going for it, Bronson’s stale themes and consistent delivery throughout the entirety of the project hurt the flow of the album from start to finish. White Bronco has great moments buried beneath repetition and a new style that Action Bronson hasn't quite captured yet.